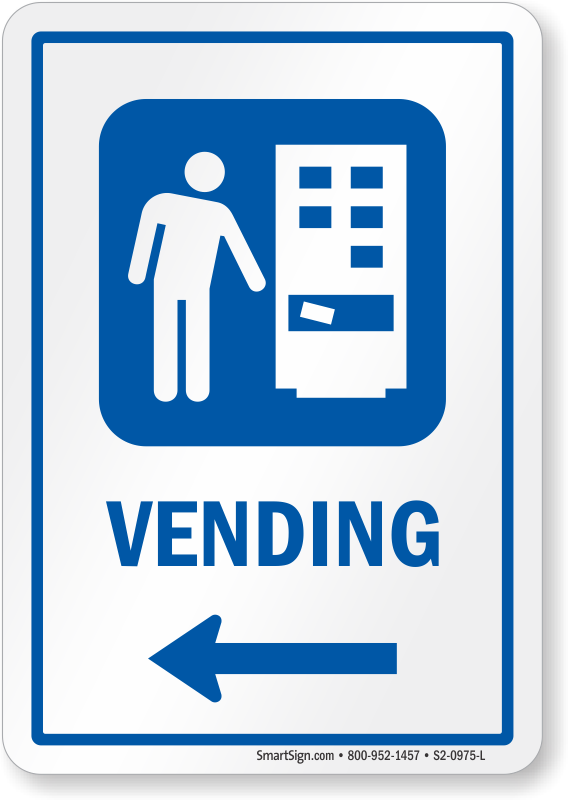 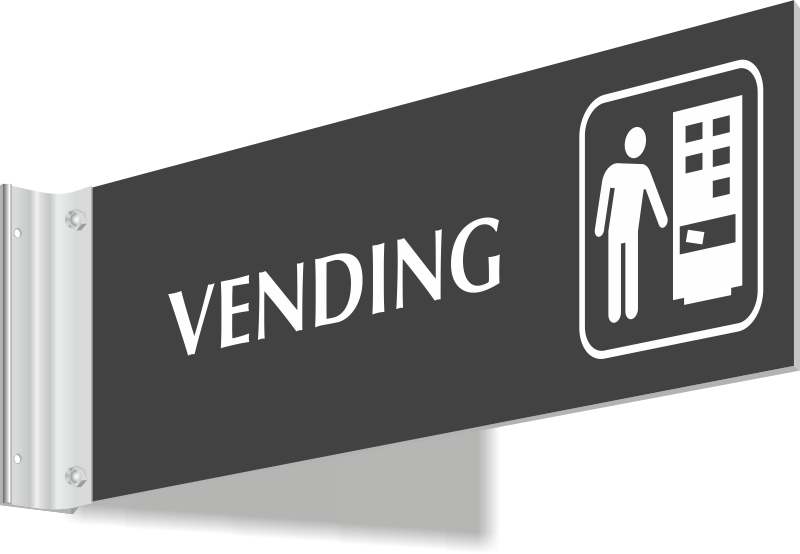 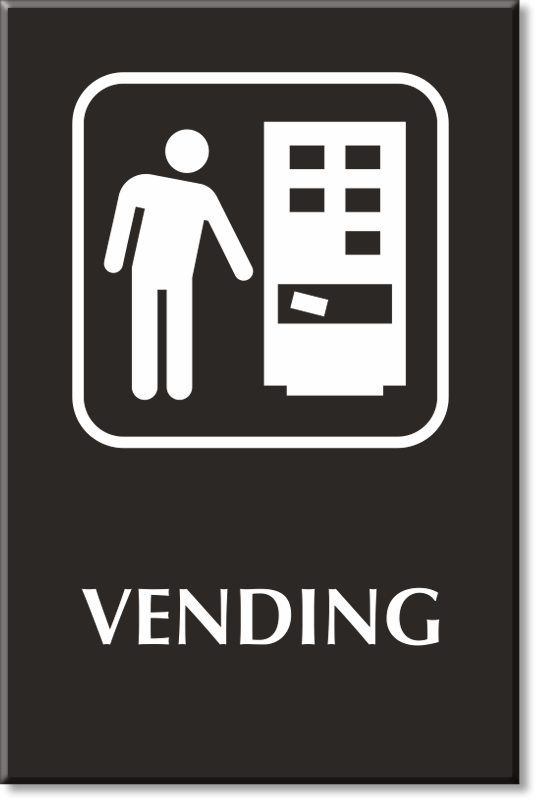 Often, vending machines are not in plain sight - a sign makes any location easy to find. 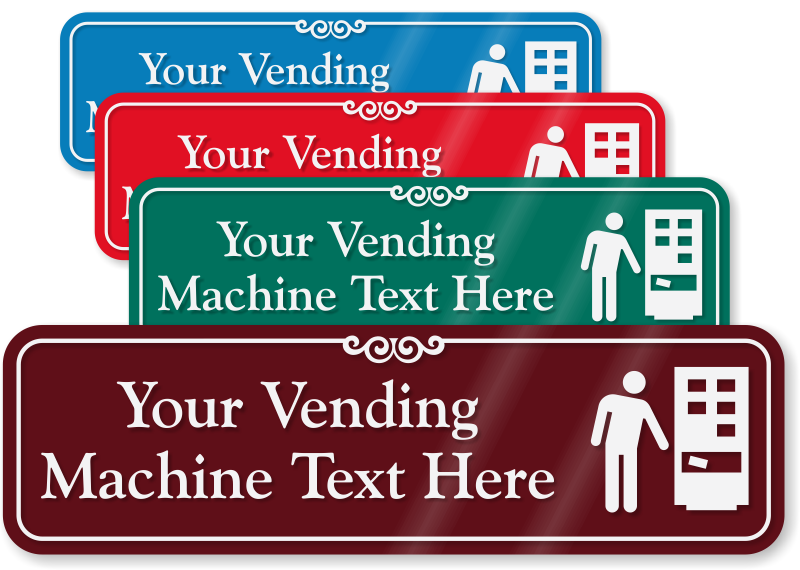 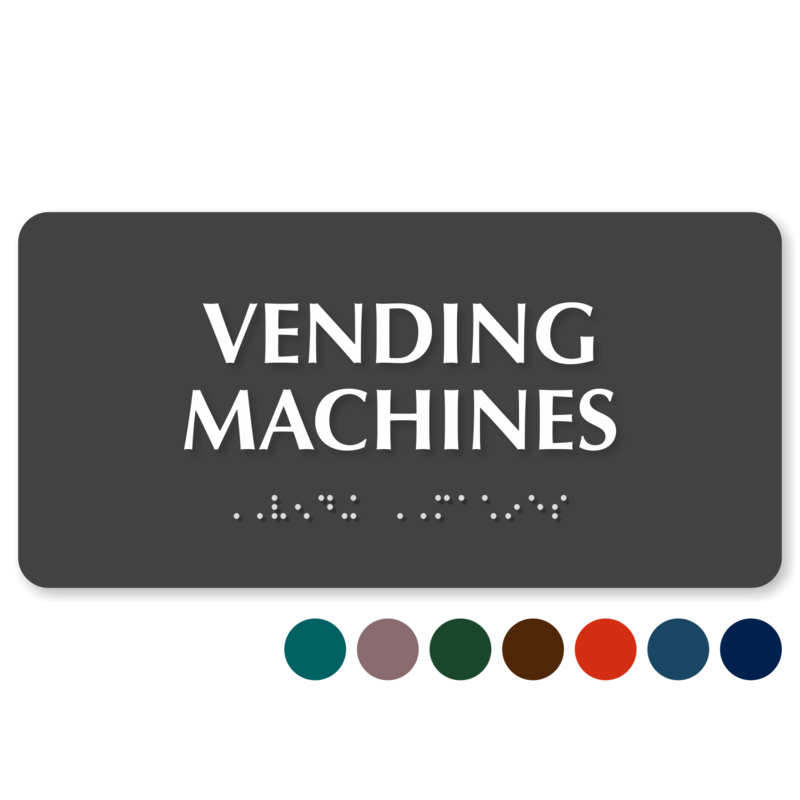 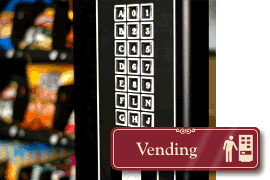 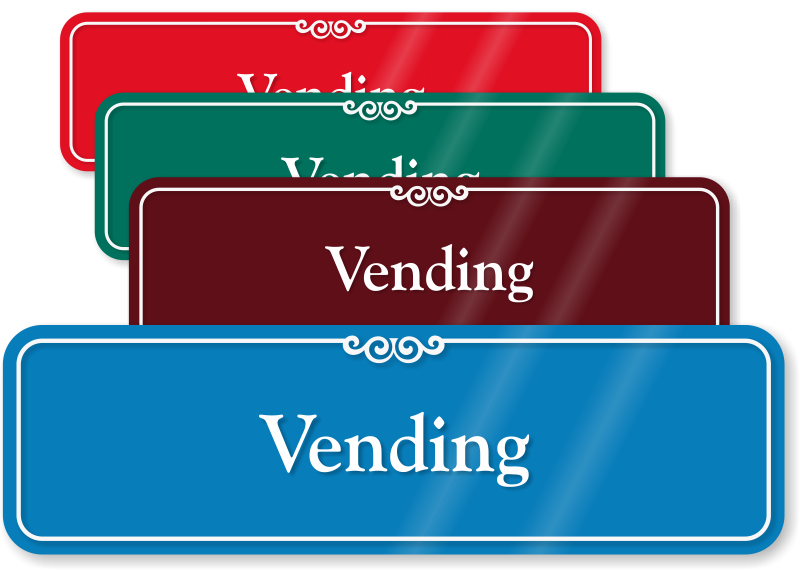 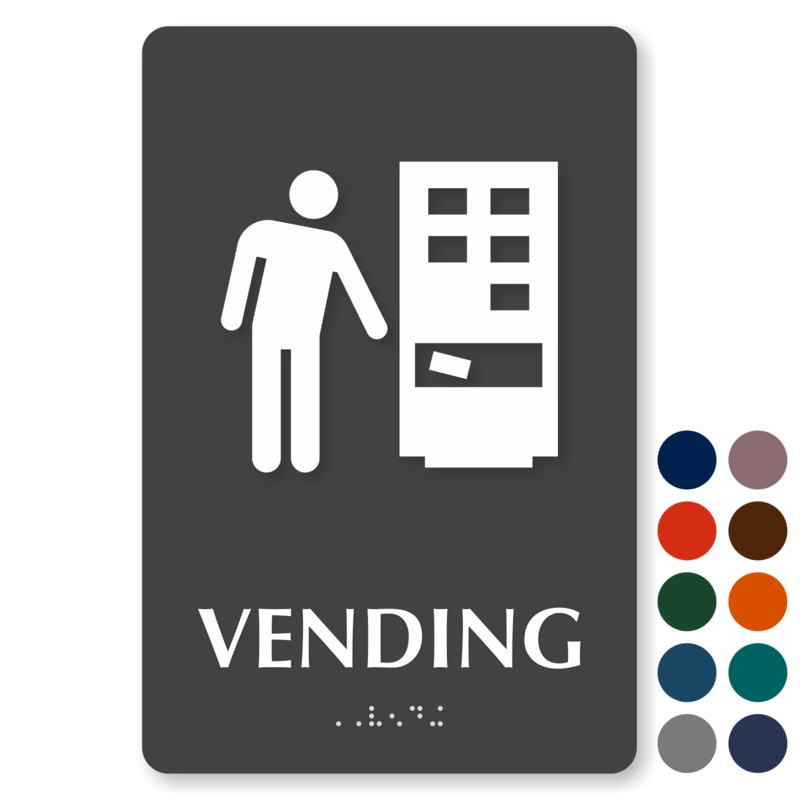 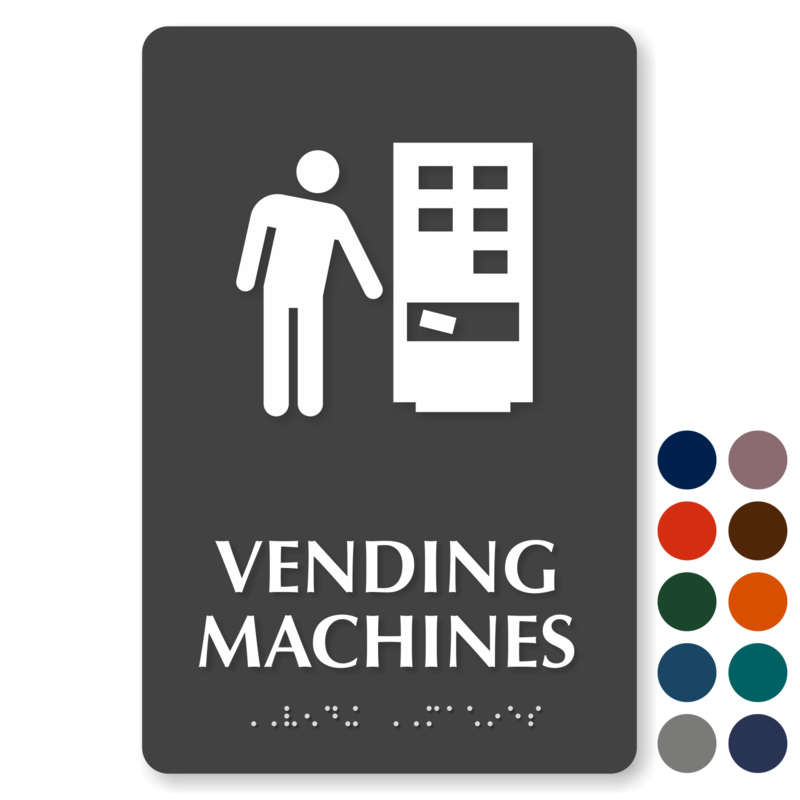 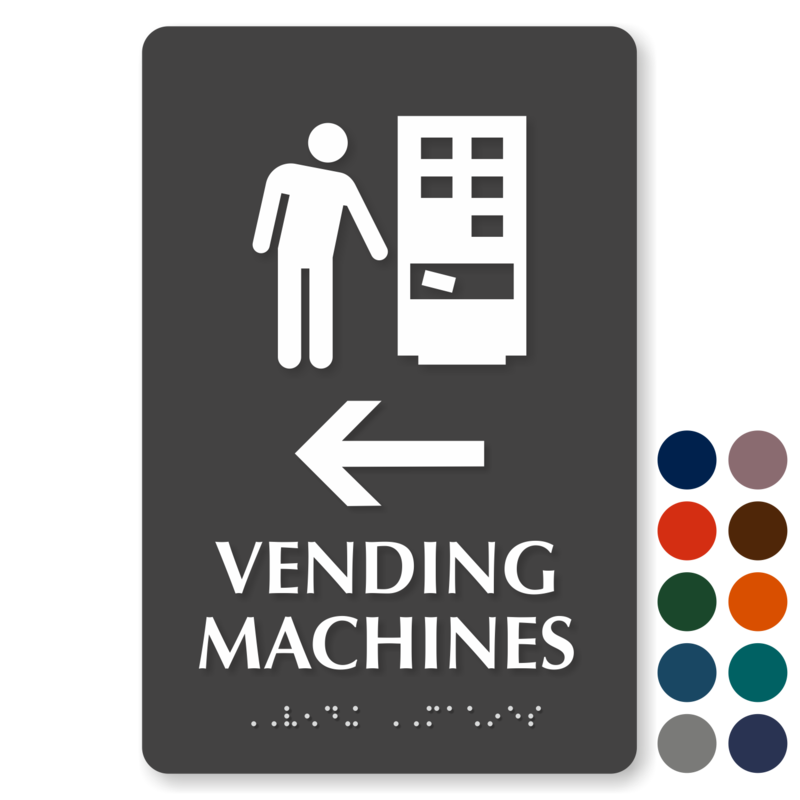 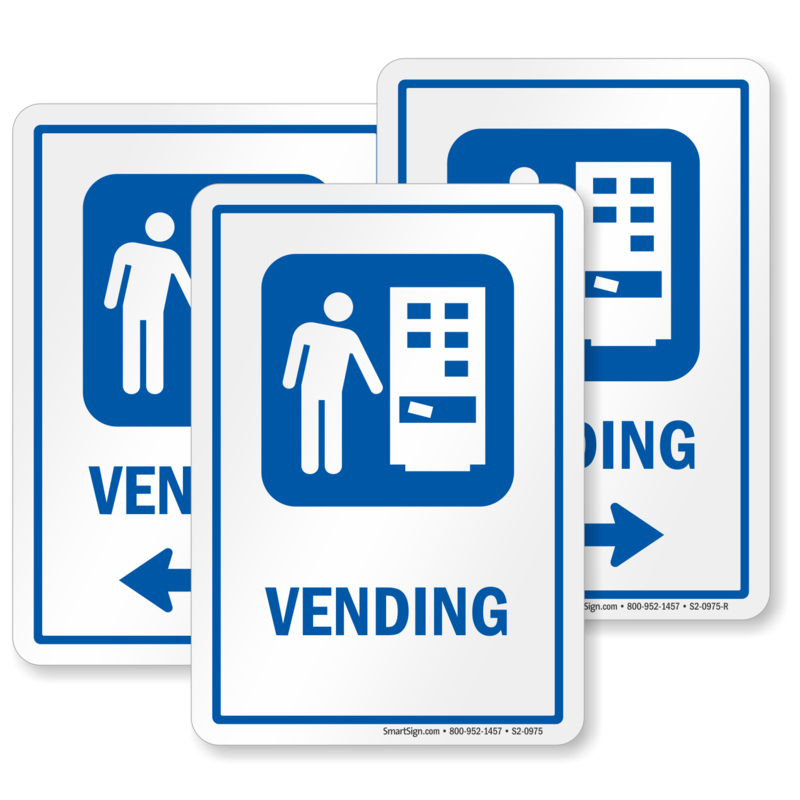 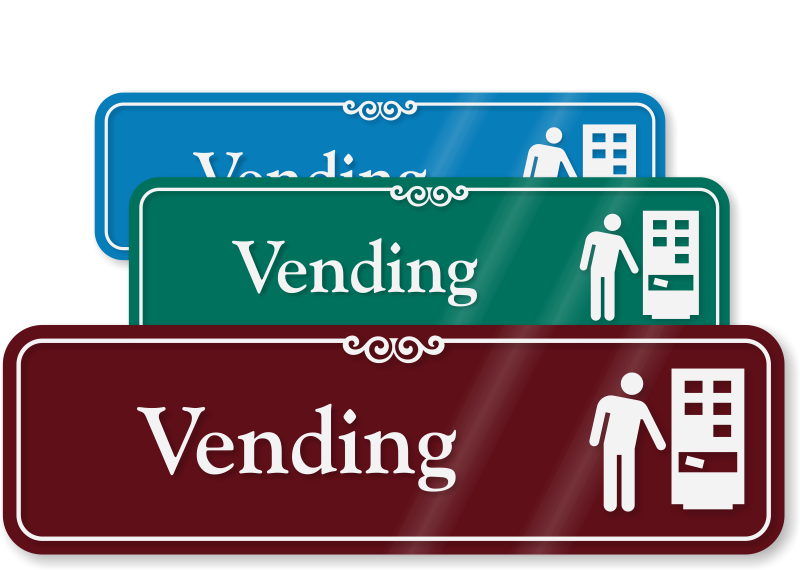 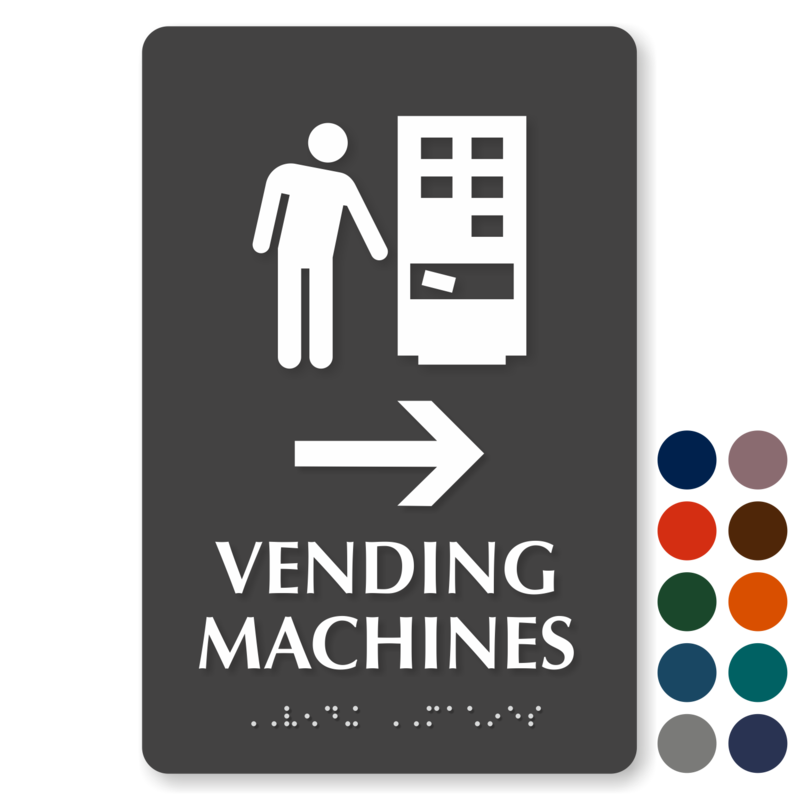 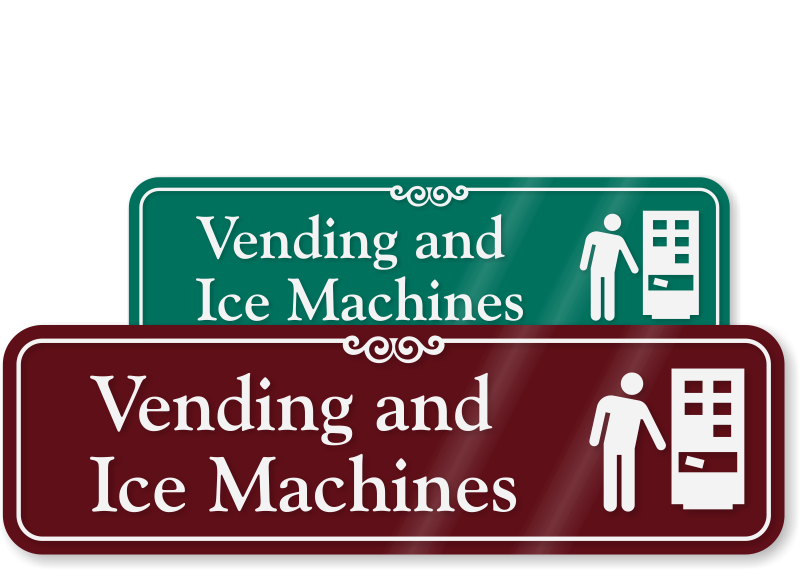 • Our ShowCase Vending Machine Signs have subsurface graphics and a distinctive border. 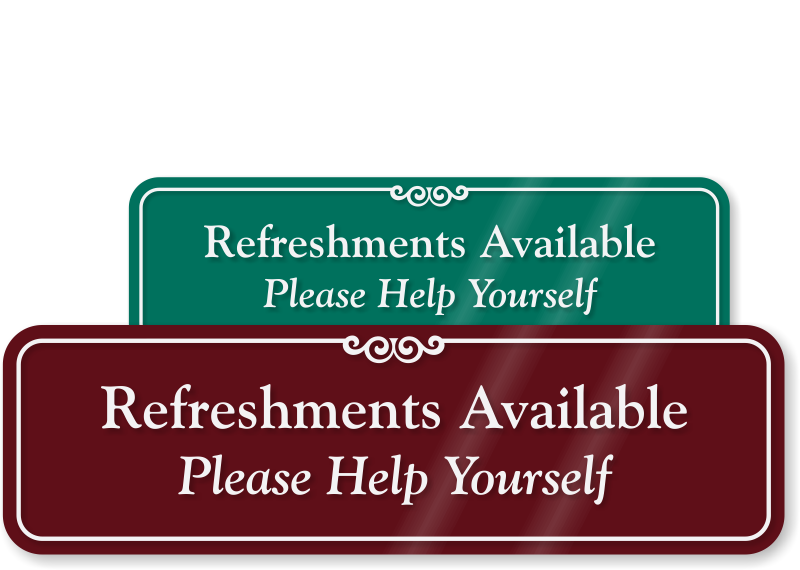 For more signs click here! 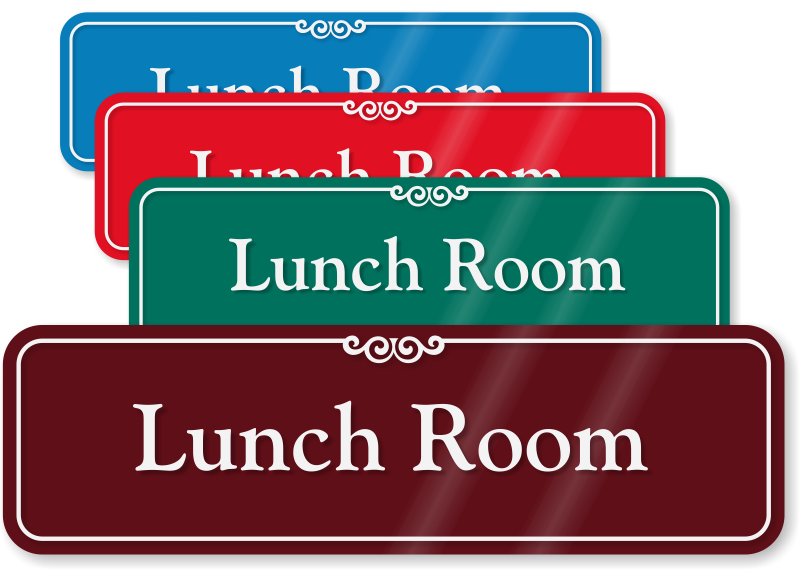 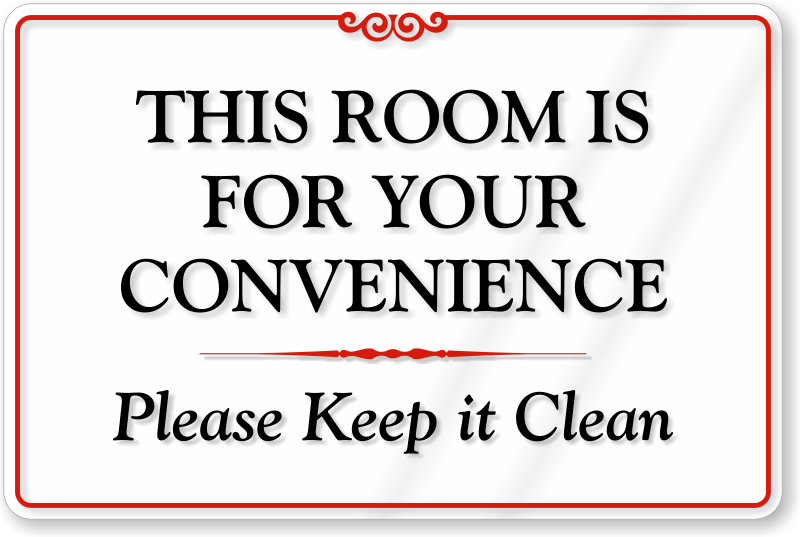 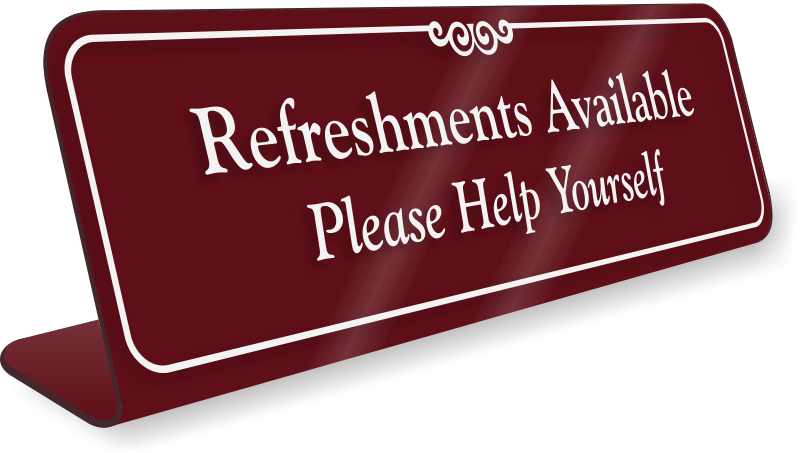 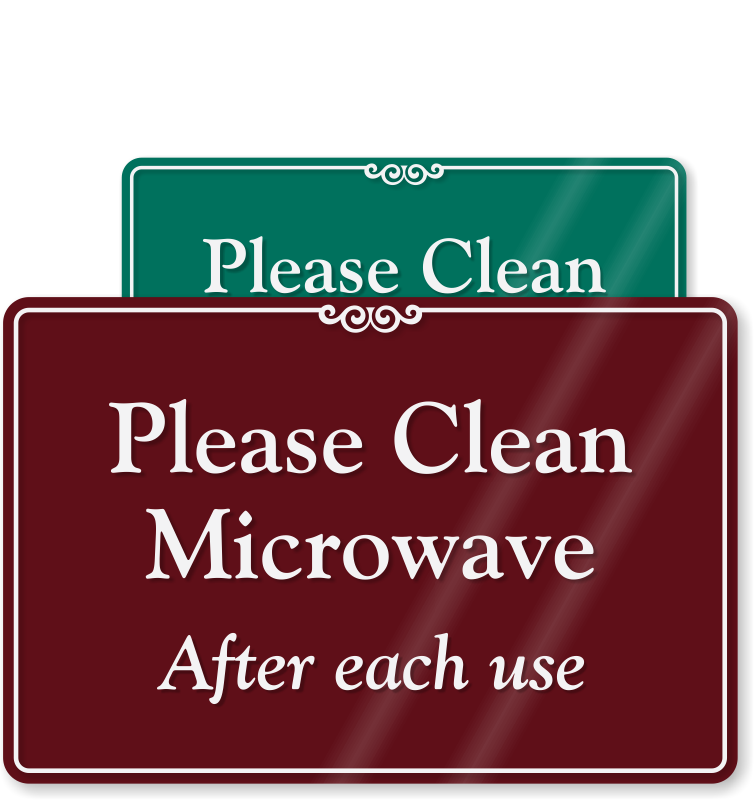 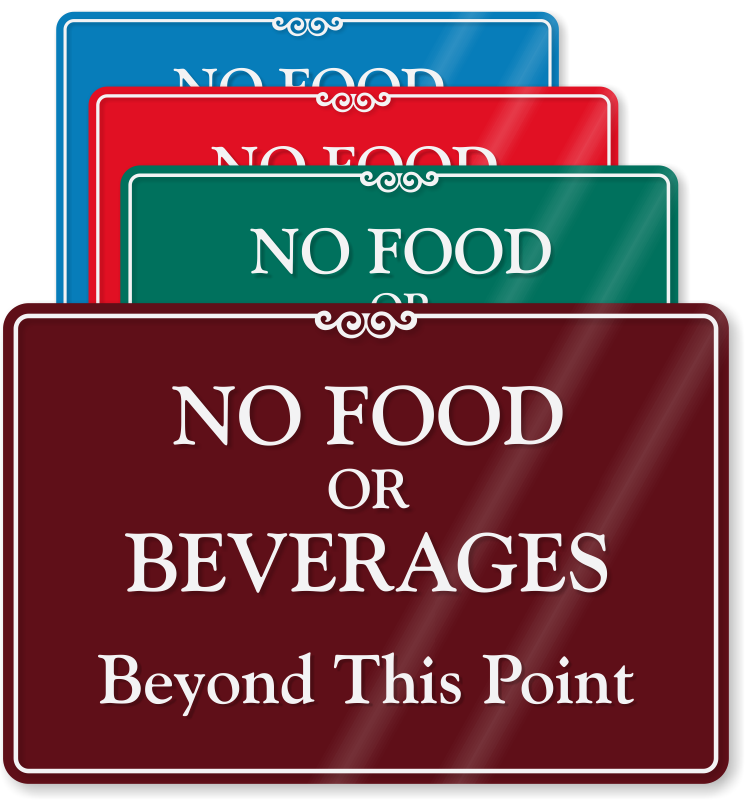 • These signs are perfect for hotels, hospitals, offices and schools. 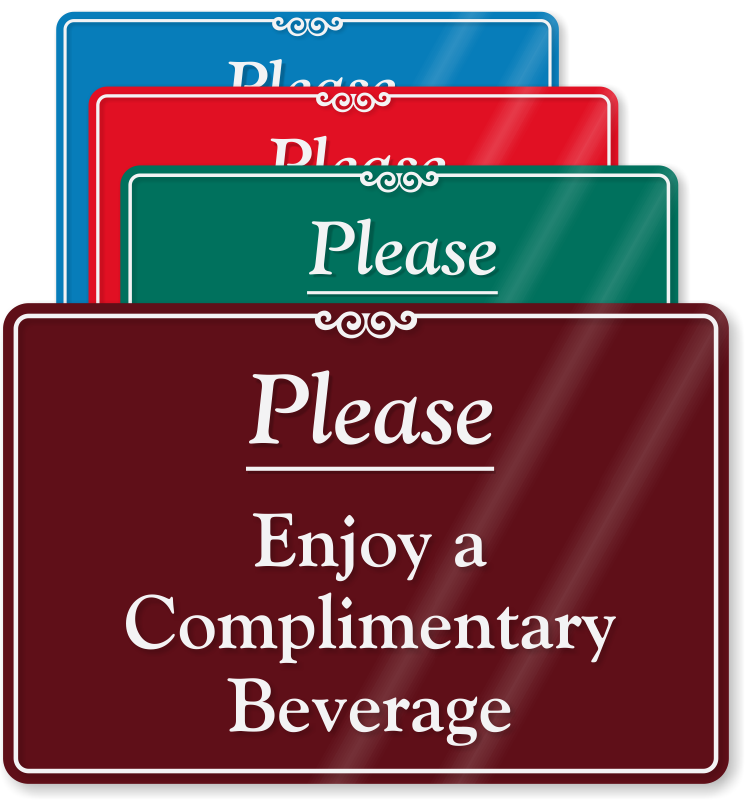 Putting signs at the front desk is an effective way to send a message to visitors as soon as they walk in. 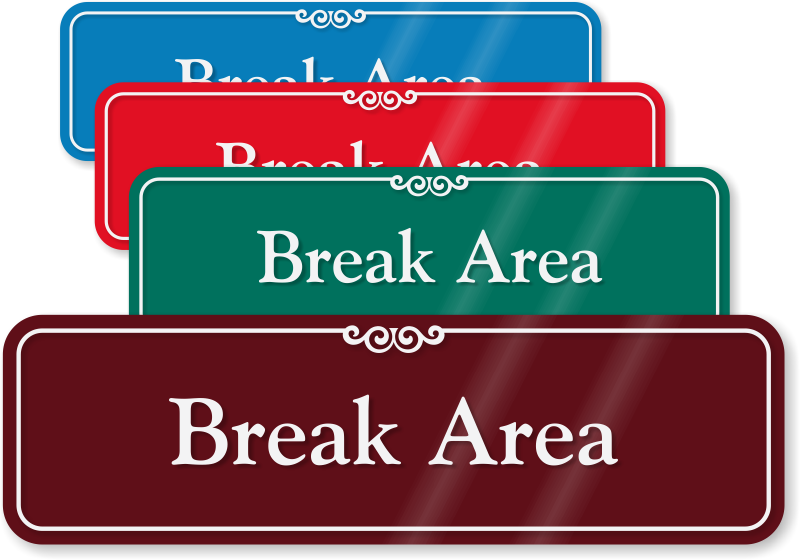 Order these signs in any of our stock colors. 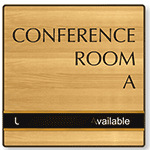 Most designs are available in 16 different colors, making it easy to match your decor.